Happy St Basil’s Day! It’s the ‘Russian New Year’ (at least that’s what it was called in Pennsylvania years ago) and the beginning of 2019 on the Church calendar. I’m excited about the coming year and projects on hand from the Pillar Posts and podcasts to speculation and research into the clockwork guts of Fantastic Beasts and Cormoran Strike. Thank y’all for joining us in the past year and in advance for joining the conversation in the New Year. Maybe I’ll find time this weekend to put up a Greatest Hits of 2018, a very busy year indeed for Rowling Readers. I managed to read a book that had been on top of my pile of things to read (apart from the PhD thesis mound of ‘Must Reads’) in the first week of the twelve days of Christmas, and, as I expected, it was both a delight and a revelation. I rush to share the three things I learned from Agatha Christie and the Eleven Missing Days by Jared Cade. Two points are in order as introduction, though, for the Harry Potter fan out there who may not know the basics about Agatha Christie. We joke that only God and Chairman Mao have sold more books than J. K. Rowling and that Mao had help with his Little Red Book’s sales and distribution. Rowling’s sales, though, while unprecedented on a per volume basis at least with the Hogwarts Saga parts, fall far short of the hard to fathom book sales of two English women writers, Enid Blyton and Agatha Christie. Christie is not only the ‘Queen of Crime Writers’ by common acclamation, her Poirot and Marple novels have been translated into more languages and sold more copies than any other writer of fictions in history with the possible exception of Shakespeare. Big Bill, much as I love the Bard, except for his place in the English canon and consequent forced readership in schools, would only be read by thespians and antiquarians. Christie’s mysteries still sell millions of copies annually to readers who delight in them for their own sake. 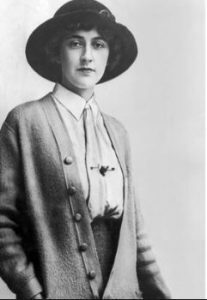 Agatha Christie was a very private woman, however, and would be happy, I think, that the reading public today knows very little about her life. One event in that life, however, that is well known and Christie worked her whole remaining time on earth trying to downplay (it was a condition of every one of the rare interviews she granted that the topic not be raised) was her disappearance for eleven days in 1926, which vanishing act was the occasion of a national woman-hunt. She turned up in a spa at Harrogate; she claimed to have suffered an attack of amnesia, a story from which she never broke in all the remaining decades of her life. 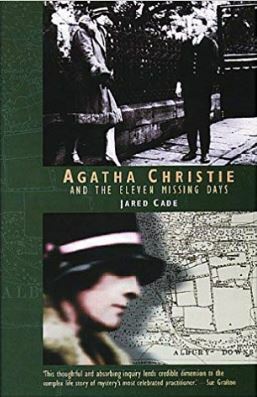 Jared Cade in his Agatha Christie and the Eleven Missing Days demonstrates what has always been suspected, namely, that the amnesia story was a deliberate fabrication and that Christie disappeared in order to punish her husband who had just told her he wanted a divorce so he could marry his mistress, a mutual friend of theirs. Why should a reader of J. K. Rowling care? Three things in this short biography of an author whose work Rowling knows well struck me as meaningful, even important. Join me after the jump for those eye-openers! (1) Rowling-Christie Life Story Parallels: Readers of this weblog’s posts about Rowling and her Robert Galbraith pseudonym’s Cormoran Strike novels have seen repeated references to The Presence’s interview with crime writer Val McDermid at the Harrogate Festival in 2014. I confess that after reading Agatha Christie and the Eleven Missing Days I thought Rowling may have accepted the invitation to appear in Harrogate because it was the town where Christie was found hiding under her pseudonym (the same last name as her husband’s lover…). The parallels with her life and Christies are that numerous and strong, beyond the “best selling author of her time” connection. Like Rowling, Christie showed little promise of amounting to anything worthy of great public note as a younger person. She was not born into the aristocracy but to an Austen-esque middle gentry family and she had a decent education but well short of anything Oxbridge. 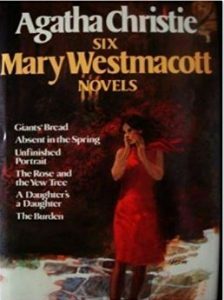 She was a natural red head, a fact that I confess to being delighted by because all of the pictures of her that one sees on book jackets and the like are of a blue or gray haired matron in her dotage. She rather stumbled into writing mysteries, being a big fan of the genre and wanting to outstrip or at least compete with her much older sister who had had some succes as a playwrite. She married a superficially gallant man, Colonel Archibald Christie, a hero of sorts in WWI aviation, and, as noted, he tired of her and fell in love with his favorite golfing partner (Christie made it a condition of her second betrothal that her new husband promise not to take up golf; he agreed but soon took a mistress anyway). This failed first marriage led to her disappearance, which created a publicity avalanche as the Fleet Street denizens went into a frenzy of special editions for the eleven days she was gone, which led naturally to her despising media intrusions into her personal life. And there are other points that a Rowling-ologist will note beyond the allergy to questions about her private life. Christie ‘loved a Royal,’ for instance, taking special pride in her DBE, was overwhelmed by success, became sick of and tried to turn away from her key characters’ franchises (but always returned to them), and succeeded in shielding her family from the public eye. (2) Christie Wrote Under a Pseudonym: A parallel I really loved, though, was that Christie successfully wrote and published six romance novels under a pseudonym, the ‘Mary Westmacott’ novels. Unlike Rowling/Galbraith, however, it was almost thirty years before Christie’s pen name was discovered and the author outed. So what? Beyond the correspondence with Rowling also having chosen to write under a pen name in a radically different genre is the connection that under the pseudonym Christie chose to write very revealing portraits about her personal history under the thinnest of story-telling veils. The idea that Rowling is writing mystery novels that simultaneously shadow and comment on the Hogwarts Saga septology gets a little boost, I think, from the Christie/Westmacott stratagem. 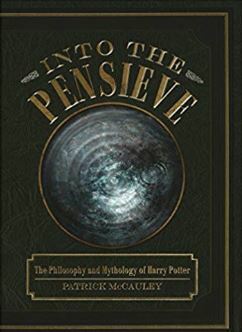 (3) The Pivotal Event of Her Life is Embedded in Everything She Writes: One of the more memorable forehead slapping moments of my life as a Potter Pundit was reading the chapter in Patrick McCauley’s Into the Pensieve in which he discussed the centrality of violence against women in Rowling’s work and the link of this pre-eminent theme and the experience of Rowling’s first marriage. 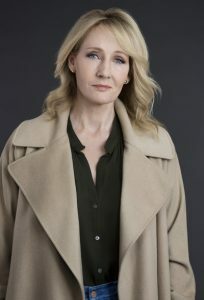 For Rowling, McCauley strongly suggests, the focus on the consequences to abused women and all those in relationship with them (Harry’s mother, Snape’s mother, Voldemort’s mother, Dumbledore’s sister, Robin Ellacott, Leda Strike, others) stem from the violence surrounding her first marriage’s break-up and her much less well known escape from it. Rowling does not blush about pouring autobiographical elements into her stories; Casual Vacancy is proof enough of that. McCauley’s theory, though, is that one event above all the others, shaped the predominant theme of her work. 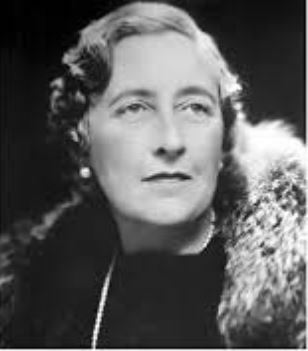 For Christie, I learned in Agatha Christie and the Eleven Missing Days, that singular event was the break up of her first marriage, the nightmare she experienced in the flood of publicity resulting from her punitive charade, and her consequently very subdued and tolerant response to the sustained infidelity of her second husband (who, if a cad, was always very kind to his much older wife and who at least had the sense not to ask for a divorce). Jared Cade, who has something like a memorized knowledge of Christie’s work — his Amazon bio blurb includes this bon mot: “in 1993 [Cade] appeared on The 64,000 Dollar Qestion, correctly answering all questions on his specialist subject of Agatha Christie’s novels and winning what was then British television’s biggest cash prize” — reveals how Christie writes repeatedly about marital infidelity and revenge of the abused party, both up front and in subtle fashion. I recommend Agatha Christie and the Eleven Missing Days, consequently, both to Christie fans and to serious readers of Harry Potter. No, I haven’t broken with my core formalist first principle that disregarding biographical data in favor of close reading of the text is essential. I’m just allowing that biogaphical data shouldn’t be totally disregarded, either. The author isn’t a bloodless machine, after all. If one is careful to focus on the writer’s intentional artistry rather than the inevitable and comparatively irrelevant bleed from personal experience, awareness of that experience need not be shunned or denied. 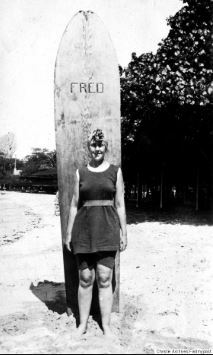 I mean, can you really understand Agatha Christie without knowing that she was perhaps the first English woman to practice stand-up surfboarding in Hawaii? Yes, you can — but it’s fun to know that anyway. What do you think? Click on ‘Leave a Comment’ up by the post’s headline and let me know. Happy St Basil’s Day and a joyous New Year to you all! Hmm. I wouldn’t get too carried away by the Cade book. Agatha Christie’s Autobiography is a valuable corrective. She doesn’t talk directly about the disappearance in her book but relates the mental state she was in beforehand. Her mother had died, she was sorting out the house – a huge amount of work as it was a big house – and knew her beloved Archie was unfaithful. The poor woman had a nervous breakdown and – being Agatha Christie- tried to ‘plot’ it. That’s how her mind worked, even under great stress. Cade’s book argues the position you do almost to the letter but with the added testimony of the children of Agatha Christie’s lifelong and closest friend, Nan, with whom Christie stayed the night of her disappearance. Nan and family were among the only friends that stood by Christie after the debacle of disappearance, search, and discovery. The Christies were extraordinarily fortunate that no one died or was seriously injured during the search for the intentionally lost author. Why Christie maintained the fiction of hysterical amnesia for the rest of her life is a mystery that died with her and Nan, but that it was a plotted punishment of Colonel Christie for his infidelity is beyond dispute. For a fascinating tour of the pre-forced readership in schools popularity of the Bard, allow me to recommend adding to your stack Jonathan Bate’s The Genius of Shakespeare (1997) – if you haven’t read it already: I’m very glad to have finally caught up with it, this year.